TRENTO, Italy – For a new opera, Dionysos Rising, at Teatro Sanbapolis in Trento, Italy in January, Roberto David Rusconi turned to L-Acoustics’ L-ISA Immersive Hyperreal technology to optimize the listening experience within the 838-seat venue. The 15.1 L-ISA configuration consisted of five X12 enclosures for the scene system across the front of the stage, ten X8 for the overheads and surrounds, and two SB18 subwoofers flown centrally above the audience. Five LA4X amplified controllers drove all the loudspeakers. 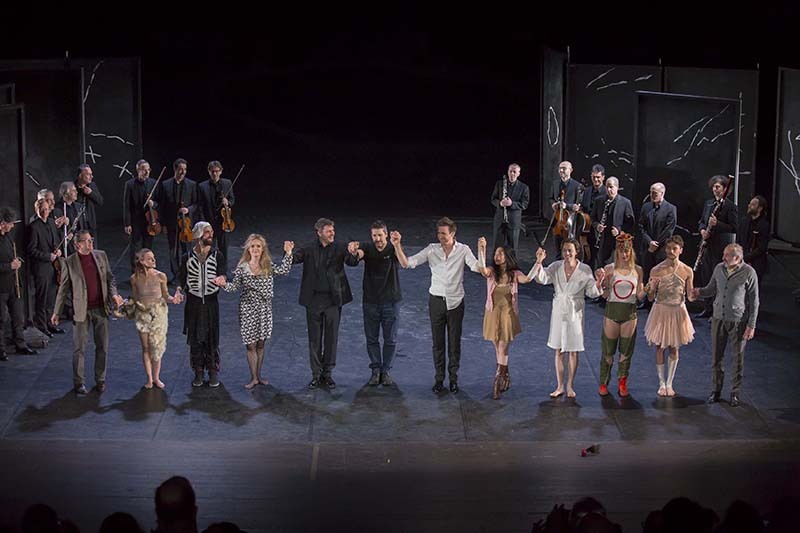 The Dionysos Rising cast and creative team, with Roberto Rusconi at center, take a bow. Dionysos Rising is a new opera by Roberto David Rusconi, and part of the vibrant OPER.A 20.21 program from the Haydn Foundation of Bolzano and Trento, Italy. 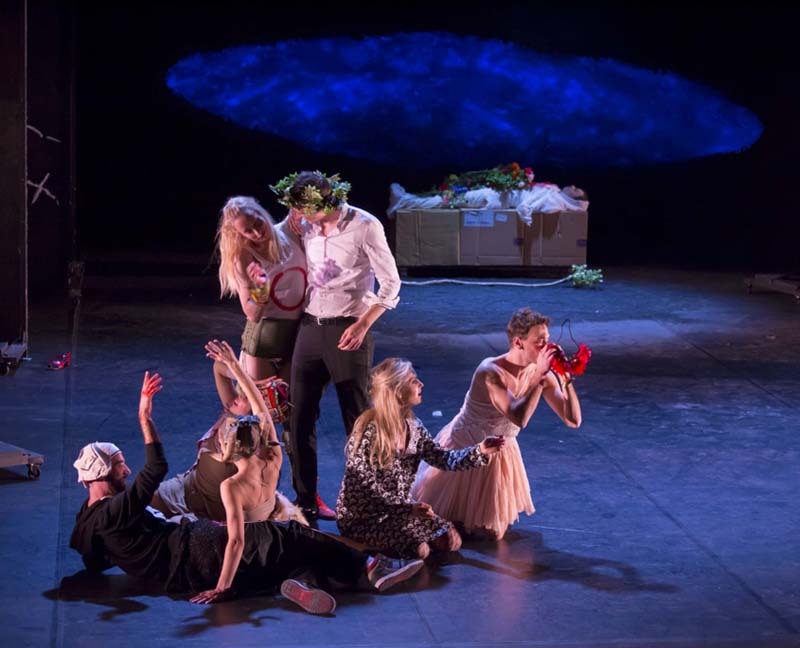 The production brings modern context to the myth of Dionysos, the ancient Greek God of wine, fertility, ritual madness, religious ecstasy, and theatre, and is set in a rehabilitation center for patients suffering from mental health issues. 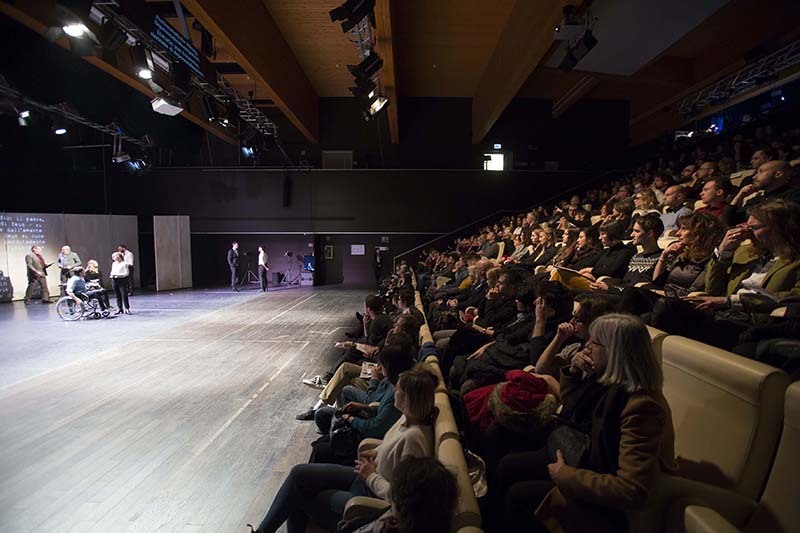 The premier of Dionysos Rising at Teatro Sanbapolis used a 15.1 L-ISA configuration. Roberto David Rusconi is the 2019 Artist in Residence for the Haydn Foundation and is well known for his wide-ranging portfolio of immersive musical experiences for opera, theatre, and dance, as well as extensive work in music for film and TV. The Dionysos Rising music uses a small orchestra together with live voices and playback. To convey this ambitious immersive soundscape and complex scoring clearly and intelligibly to the audience, Rusconi turned to L-Acoustics’ L-ISA Immersive Hyperreal technology. Roberto Rusconi (right) with Elias Kern and Florian Bach. The next performances of Dionysos Rising will be from September 20-22, 2019 at the Museumsquartier, Hall G, in Vienna, Austria.